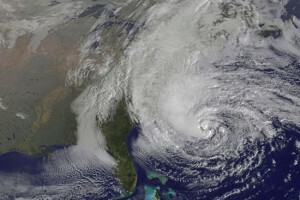 Hurricane Sandy bore down on much of the East Coast this week causing great destruction in her path. For all of our clients who have been directly affected by the storm, SchoolDude would like for you to know that we’re keeping you in our thoughts. As you begin the clean-up process we want to remind you that you have a powerful tool to help track, organize, and report your school’s storm damage. Through MaintenanceDirect you can create a purpose code titled “Storm Damage” by clicking on "Add" from the Actions bar and then "Purpose". As damage reports trickle in and work orders are created for these repairs, the purpose code “Storm Damage” can be applied to each request. Once the clean-up process wraps up, through MaintenanceDirect you’ll be able to pull all the information needed to provide to insurance agencies, FEMA, and for state aid. The two most valuable reports to generate when clean-up is complete are the Work Order Summary Report 2 and Transaction Detail Report. The Work Order Summary Report 2 is a great snapshot of each request including: description, days aged, labor hours, and total cost. The Transaction Detail Report will provide you with both a breakout and grand total of labor and material costs while providing a snapshot of each individual transaction, the work order it was associated with, a brief description of the work, etc.